Covers JSON syntax, validation, modeling, JSON Schema. Includes tips and tricks for using JSON with various tools and programming languages. Tom Marrs Principal Architect, Vertical Slice, Inc.
JSON was created by Douglas Crockford in 2001, and is specified in RFC 4627 with the IETF (Internet Engineering Task Force) standard; see http://tools.ietf.org/html/rfc4627. Per the specification, the JSON's IANA (Internet Assigned Numbers Authority) media type is application/json, and the file type is .json. Please note that some members of the JSON community use the term "string" rather than "document." JSON is gradually replacing XML as the preferred data exchange format on the internet because JSON is easy to read and its structures map to common programming concepts such as Objects and Arrays. JSON is more efficient (i.e., faster parsing and network transmission) than XML because JSON is more compact—there are no begin and end tags. A property name (i.e., firstName) is a string that is surrounded by double quotes. A value can be a string (as in the above example), but this is just one of several valid data types. (Please see the Data Types section for further details.) Some well-known technologies claim that they use JSON data formats, but they don't surround their strings with quotes. However, this is not valid JSON; see the JSON Validation section. An Object (in this case address) consists of comma-separated name/value pairs surrounded by curly braces. The property name (i.e., age, etc.) is a string surrounded by double quotes, but the value does not have quotes. A number can be prefixed by a minus sign. The exponent portion (denoted by e or E) comes after the number value, and can have an optional plus or minus sign. Neither leading zeroes, octal, nor hexadecimal values are allowed. The property name (emailValid) is a string surrounded by double quotes, but the value (true) does not have quotes. JSON does not allow comments. Comments were originally a part of JSON, but developers misused them by putting parsing directives in comments. When Douglas Crockford saw this practice, he removed comments from JSON to preserve interoperability between computing platforms. You've probably noticed that the property names (i.e., the name on the left-hand side of the colon) use camel case. This is not a rule or standard, but is a convention prescribed in Google's JSON Style Guide at: http://google-styleguide.googlecode.com/svn/trunk/jsoncstyleguide.xml. Douglas Crockford's JSON site (http://www.json.org) provides a full description of JSON syntax. Additionally, the JSON Pro Quick Guide (freely available in the iPhone App Store) provides examples and an overview of JSON syntax. JSONLint is also available as a Chrome extension in the Chrome Web Store. Developing valid JSON documents for real applications can be tedious and error-prone. To avoid typographical errors, you can use JSONPad, JSON Editor Online, and JSON Designer to create a logical model (similar to UML) and generate valid JSON documents. The end result is a valid JSON document that is usable in your application. You can also generate a model by pasting JSON text into the text area and pressing the green down arrow in the Tree tab. Under the Format tab, you can either compress or pretty print a JSON document. JSONPad validates the JSON document in the text are when you press the JSON button in the Tools tab. JSON Editor Online (http://jsoneditoronline.org/) is an online JSON modeler, and is also available as a Chrome extension. Firefox and Chrome provide excellent extensions (i.e., add-ons and plugins) that make it easier to work with JSON. Rest Client is a Firefox extension that provides the ability to debug and test RESTful Web Services from the browser. The ability to test from the browser isn't new, but the output formatting is much more readable. The above example uses the Books service from the Open Library API. After entering the service URI, the Response Body (Highlight) tab shows the JSON output. JSON is not very readable when displayed natively in a browser. JSONView is a Firefox and Chrome extension that pretty-prints JSON. Click on the minus sign to collapse each element, and press the Toggle Collapsed link to show/hide each collapsed element. JSONQuery is one of several technologies that can search JSON documents and return the desired element(s). JSON SH is a Chrome extension (available in the Google Chrome Web Store) acts as a pretty-printer and a validator. Paste a valid (but not pretty) JSON document into the text area at the top of the page, and JSON SH beautifies the text into a human-readable format. There are many JSON-related libraries for Ruby. Here's an example using the JSON gem that comes standard with Ruby. The Rails ApplicationController takes care of marshalling/unmarshalling objects to/from JSON, so there's no need to write a to_json method here. JSON Schema specifies the structure of a JSON document. JSON Schema can be used to validate the content of JSON sent to/received from a RESTful Web Service. JSON Schemas are written in JSON. The main JSON Schema site can be found at: http://json-schema.org. JSON Schema is a work in progress – the JSON Schema team has just published version 0.4, which can be found at: http://tools.ietf.org/html/draft-zyp-json-schema-04. type The data type – object, array, string, number, etc. $schema The URI that provides the schema version. properties Validation properties for a data element include type (see above), minimum – minimum value, maximum – maximum value, enum, etc. Requires an array of registrant objects. Limits the phoneNumber.channel field to the following values: cell, work, fax, or home. Limits the address.premise field to these values: home, work, or other. Paste the JSON document into the right-hand text area. Choose the JSON Input option. Press the Generate Schema button. Besides the language-specific tools, there is an excellent online JSON Schema Validator at: http://json-schema-validator.herokuapp.com. To use this site, enter the JSON document and Schema into the corresponding text boxes and press the Validate button. 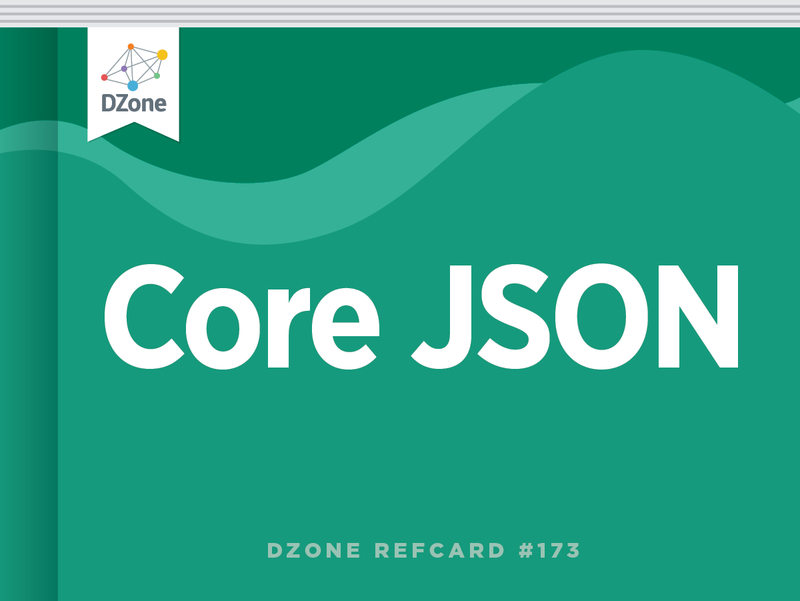 We've covered the basics of JSON, but we've just scratched the surface. Although JSON is a simple data format, there are many tools to streamline the design and development process. JSON is a standard, it has replaced XML as the preferred data interchange format on the Internet, and enables developers to create efficient, interoperable enterprise-class applications. Please note that some members of the JSON community use the term \"string\" rather than \"document.\"